Boeing has talked about a possible new “middle of the market” jet, something between the largest 737 and the new smaller 787 widebodies, since at least 2003. 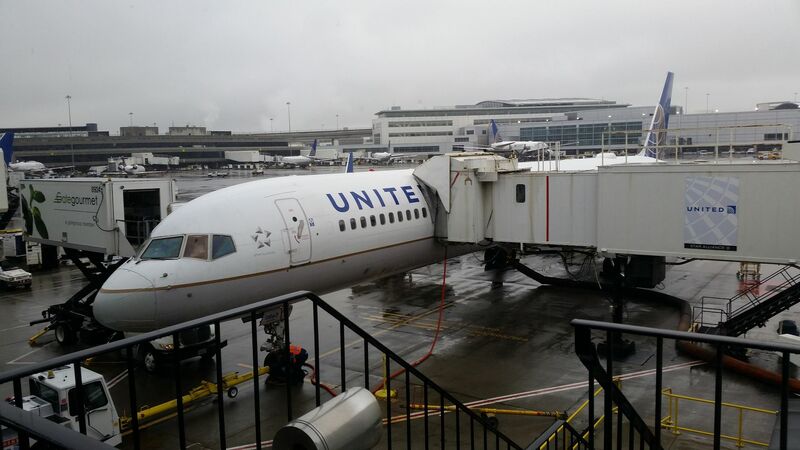 This plane would be a replacement for the Boeing 757, which often flies from the Northeast to Western Europe (and runs into challenges sometimes Westbound during winter, United’s Newark – Europe service has been said to operate focus cities in Goose Bay and Gander). Production of the 757 ended in 2004. Talk about the aircraft from Boeing heated up last year, and Boeing has shared some details at the Paris Air Show. Unofficially dubbed the ‘797’, the wings and the fuselage will be made from a carbon fiber composite material similar to the Boeing 787. In a presentation at the air show, Mike Delaney, Boeing vice president in charge of new airplane development, said the plane — like the Dreamliner — will be all-composite. Previously, Boeing had made clear only that the wing would be carbon fiber composite. …Delaney also confirmed what Boeing has hinted at: that it’s looking at an elliptically-shaped fuselage cross-section for the 797. This will allow it to be wider, so that the plane can be a twin-aisle, though not as deep as today’s widebodies. That would allow flights from the Midwest to Western Europe, or East Coast to Eastern Europe. It could be the perfect aircraft, for instance, to make a route like New York JFK – Budapest work… or for United to downguage Houston – London. It could rescue Charlotte as a transatlantic gateway for American. Boeing “believes there could be a market for more than 4,000 such aircraft over 20 years” once the plane comes online “around 2025” although it would compete with the new long range Airbus A321 and the Airbus A330neo. It’s an open question whether Airbus could respond to the 797 with a a larger longer-range A321neo to compete. Airbus has been studying that option for at least two years. The success of either venture will hinge on the ability to build new aircraft that’s both substantially more efficient than what’s operating today (assuming $43 oil isn’t sustainable) and at a low enough cost to be attractive. That’s why some suggest that the economics of the deal only become viable with the plane essentially a loss leader for bundled maintenance and other services. Anything to stop the flow of these horrid 739 sardine cans that require 10 miles of runway for takeoff. The test is whether it can do DEN-LIH fully loaded in the summer. Hot and high on one end and short field at the other. If it can’t it’s a poor 757 replacement. Unfortunately the number of passengers vs. fuel consumption means 1. A lot more orders from US Domestic Carriers & 2. They will be in the fleets for 25+ years. Appears to me that a key to success for Boeing here will be speed of development and subsequent delivery. For some reason Airbus seems to have a much shorter time frame for these than does Boeing and it appears that those issues are a factor in the success of the whole 320/330/350 series. Don’t know why but it is that way. Like in DL purchasing of A350’s less than 2 years ago and are already on the verge of putting them on line. Heck, if you had ordered a 787 of any size 2 years ago, you would be lucky to get a delivery slot earlier than 2020. What’s good for the Goose Bay may be good for the Gander!